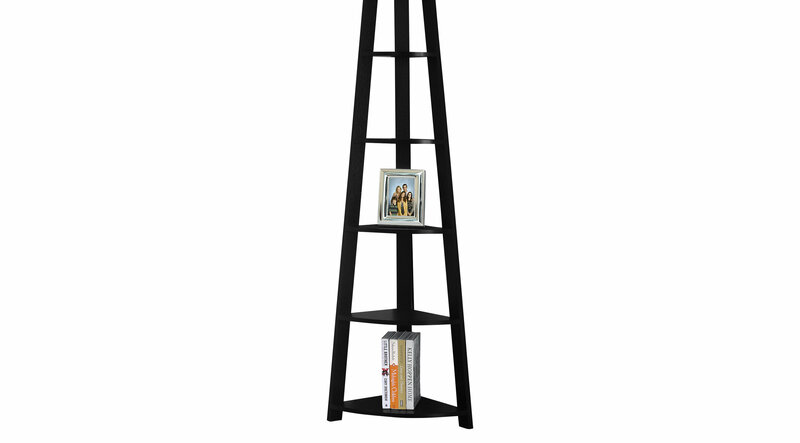 Add the perfect corner piece to any room with this chic black Korgan bookcase, complete with five fixed tray style shelves. This transitional designed bookcase blends well with any type of decor, providing additional display space without sacrificing style. Use it in a corner of your living room, family room, guest room, home office, or hallway for a tidy way to store your books and showcase your accent pieces. Tipping hardware is included for further stability. Weight Capacity 30lbs.